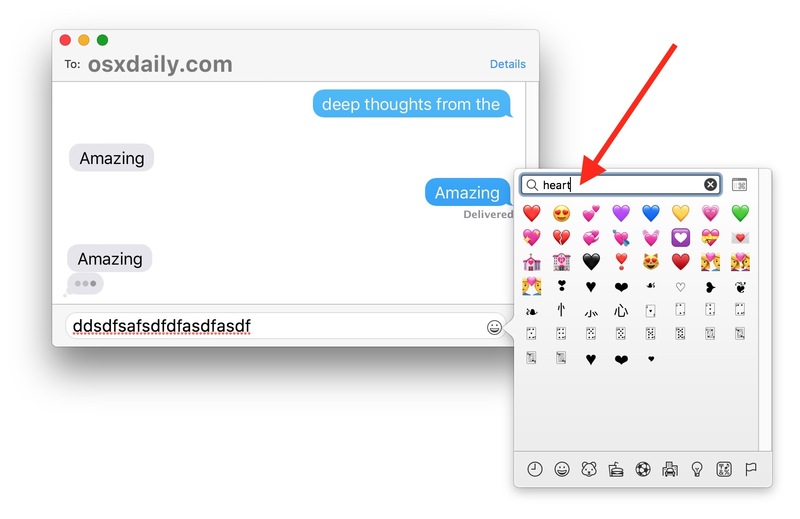 You probably know that you can quickly get to Emoji icons on the Mac via keyboard shortcut or menu items, but did you know you can search Emoji on the Mac? Using the Emoji search feature makes it much faster and easier to get to a particular Emoji icon rather than browse through hundreds and hundreds of Emojis. 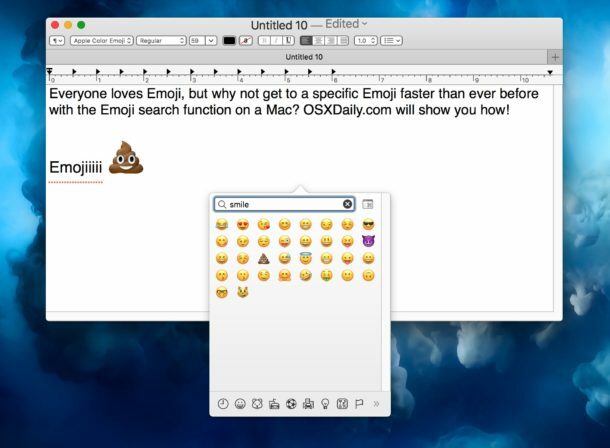 That’s all there is to it, now you can access obscure Emoji faster than ever before on the Mac. Note that it does not matter how you get to the Emoji icons on the Mac, you can use the Emoji Mac keyboard shortcut or use the Emoji menu item and panel in Mac OS, both will have the Search feature embedded even if it looks slightly different. The full Emoji panel also can tell you what a specific Emoji icon means or is defined as too, just in case you were wondering what some of the symbols mean or indicate. As of the moment, there is no search Emoji feature on iPhone or iPad, which seems like a curious feature to leave out of iOS, but perhaps a future system software version will gain the capability to search emoji icons by name and keyword in iOS as well. This works perfect on Mac, it is much easier to search Emoji by keyword than by browsing tiny icons. Now, where is it in iOS? There are so many (thousands?) of Emoji now that not having search ability for Emoji on iPhone and iPad make it impractical to use. I now only use Emoji in the Recent section, otherwise you spend minutes looking around for a particular thing by flipping through pages and pages of Emoji icons on the iPhone. When iPhone can search Emoji it will be improved. Given Apple seems to prioritize Emoji development, Emoji diversity, Animoji, and new Emoji inclusion and creation over general stability, improvements, and other new features of iOS you would think Emoji Search would be a top priority as well. 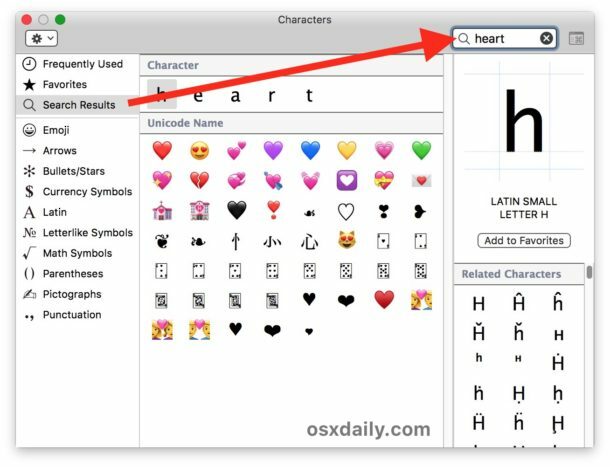 And it is curious to me given the disdain for Mac coming out of Apple today, that they would prioritize search of Emoji on the Macintosh platform. Strange days for us Apple fans! Finally a way to search emoji! How do you search emoji on iPhone? Enough with the emoji’s if you cannot say in words what you want then don’t text. I have then shut off and so does everyone associate with, they are annoying and borderline rude. IMO emojis are a childish way to communicate and should be banned. I have them turned off. If you cannot type what you want to say then don’t text.